I've been wanting to share what the Artist and I made for our Christmas gift giving, but I've had to hold off as family members...hi Mom!...have been abroad and I didn't want to spoil their surprise. But, thankfully, everyone is finally home, safe and sound, and gift packages of homemade goodness have been doled out for another year. I stumbled upon a recipe for red onion relish and it sounded scrumptious. I can't wait to try it on pizza with some homemade mozzarella. We made one batch which was just enough for gift giving, but we're planning on making another batch just for our pantry. You can find the recipe in the recent book from here. I attended a soap making workshop in the fall, at this wonderful place. These bars were scented with rosemary and calendula. The Artist and I have made wooden soap molds, and I see a lot of cold process soap making in my future. 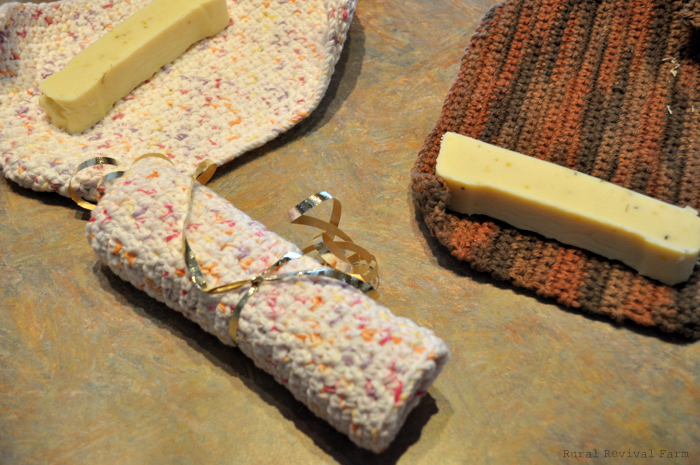 Each bar was wrapped in a crocheted facecloth. As a kid, I found shortbread dry and rather unremarkable. 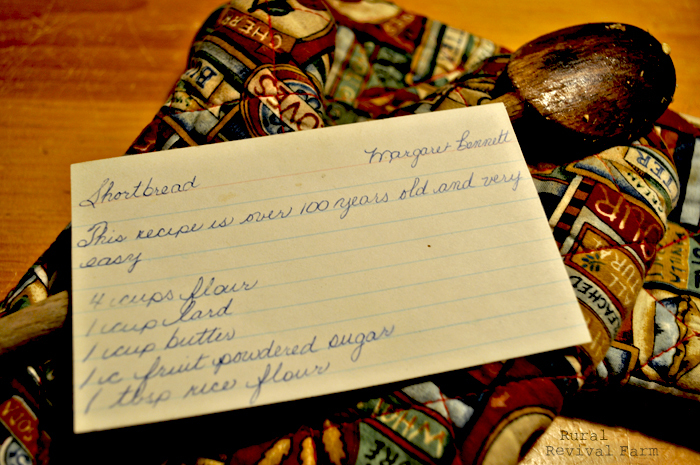 Then a farm wife handed me down an old farm wives shortbread recipe, many years before I ever dreamed of homesteading and for the last five years, I've made this recipe each Christmas. It's as easy as it claims and is divine...it really is... and very addictive. That's the only reason I only make it once a year. Homemade biscotti and fresh pumpkin bread from our bumper crop of pie pumpkins were also made. The pumpkin bread is a great way to use up our extra pumpkin puree and it's a nice, moist cake-like loaf, perfect for breakfast or a mid-day snack. You can find the recipe here. 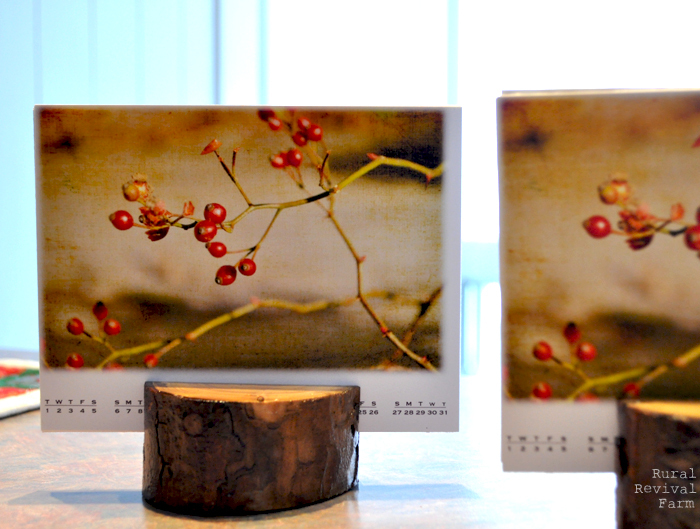 The Artist searched through my photo archives over 2012 to make reversible calendar cards, printed on heavy card stock, glued back to back. 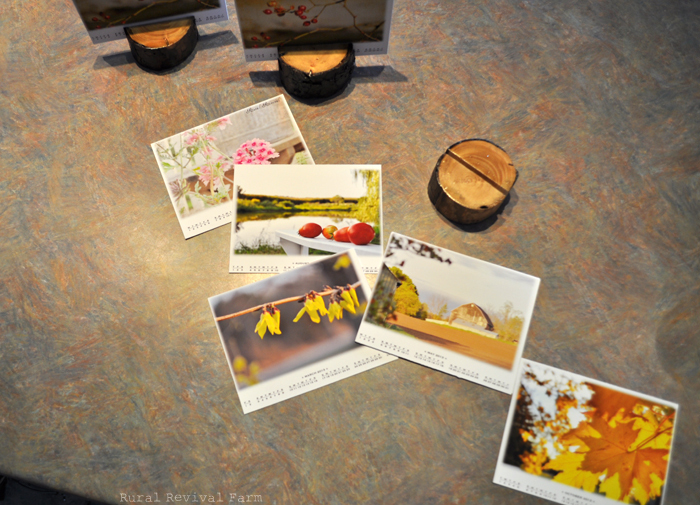 He also made holders for the cards using wood from a downed spruce branch on the property. He cut a notch in each log piece to hold the cards and gave them each a quick coat of varathane. I really love how they turned out, and he did a wonderful job of showcasing my photos. 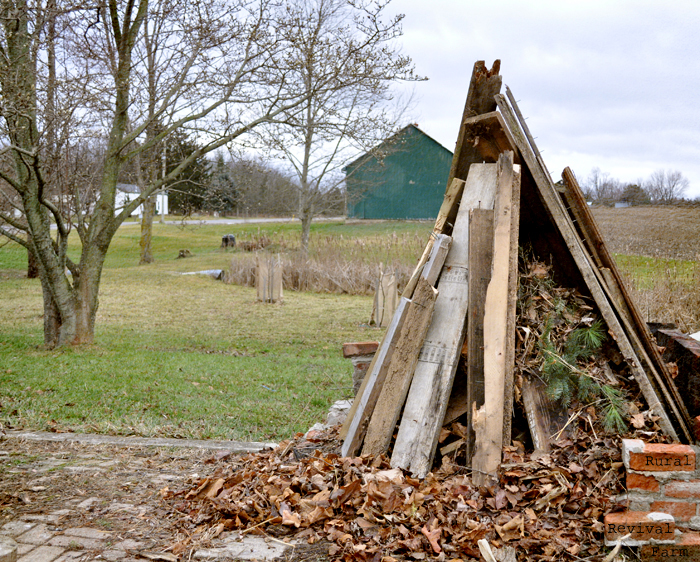 Top photo: The Artist built a great pyre for our winter solstice fire, for a solstice party. Unfortunately high winds put a damper on any outside festivities and curtailed any outdoor fires. We had to make do with an oil lamp. 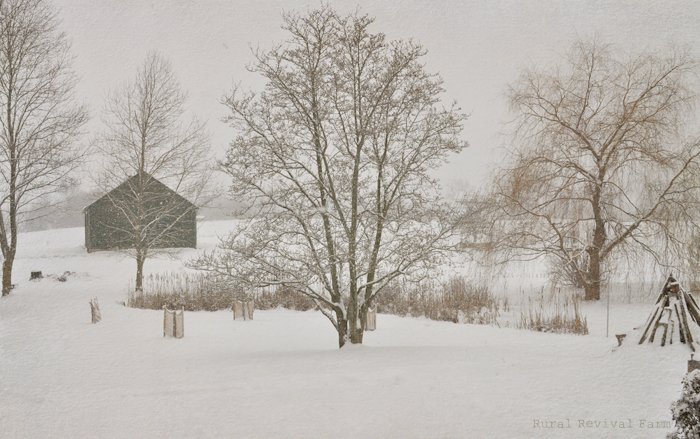 Third last photo: Like most, we had a green Christmas, but just like last year, snow arrived a day later. These days, we're just happy when it arrives, we don't complain about the timing. Beautiful photo art - I love the tags! I also love that wintery scene! I very much enjoyed this post, and the calendar cards are gorgeous! Nice job with the holders! I'd like to try the Red Onion Relish! wow there is so so much snow! 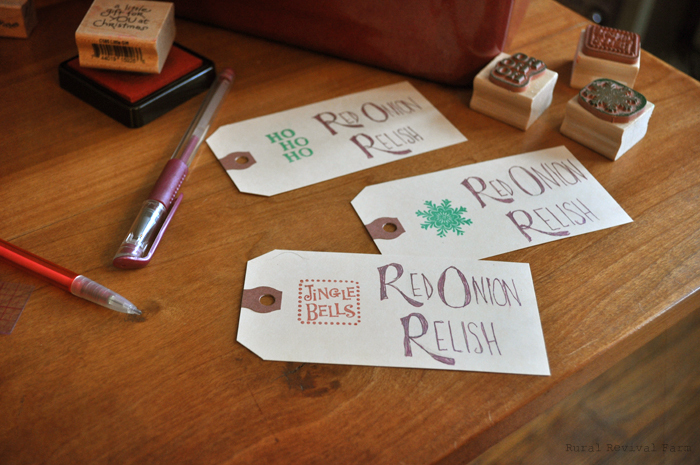 The red onion relish sounds yum. I SAVED this entire post. Love the photo, calendar idea with the wooden holders, soap making is on my "bucket list, to do". Please tell me more. I would love to attend that March workshop . . . EVERYTHING . . . loved this post. Red Onion Relish . . . I need to make . . . Gosh oh golly, I am so happy I met you! Oh what fun to visit your Christmas. I loved all your homemade gifts. So crafty and thrifty. You have inspired me to be more crafty and thrifty! Thanks for sharing. I came by from Katherines Corner. I posted about plans for Valentines Day. What wonderful gifts. I think homemade gifts are the best of all! I know your family was thrilled. Thanks for visiting and for leaving such a thoughtful and much appreciated note. The snow photos are wonderful! Hope we get snow before winter leaves. It's something I so look forward to.